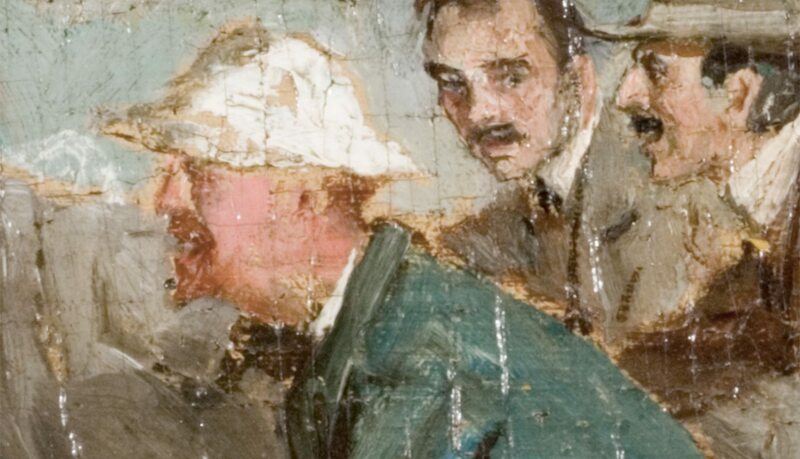 Running with the pack in The Fox Chase is fitting for the painter Allen Talcott, who was very much at home in the circle of artists. Shown wearing a hat and blue coat, Talcott appears focused and intent on catching up with the fox. From the very beginnings of the founding of the Lyme Art Colony ‘Miss Florence’ has ‘mothered’ the artists. Her whole soul has been thrown into the idea of making her old house an attraction for the best men – a home in the true sense where each one might feel that he owned a share of it, that the pleasure and comfort of it was his personal interest. — ARTIST ALLEN B. TALCOTT, C.
Talcott was born into a prominent and old New England family in Hartford, Connecticut. 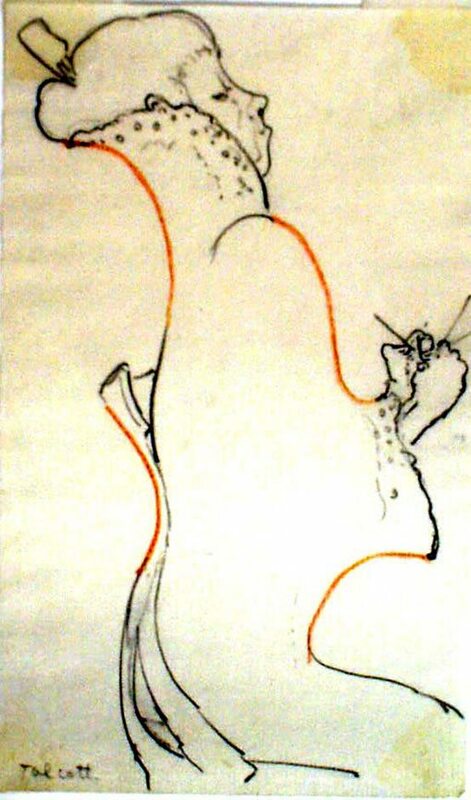 He displayed an interest in art while in grade school, sketching classmates and teachers into the margins of his books. 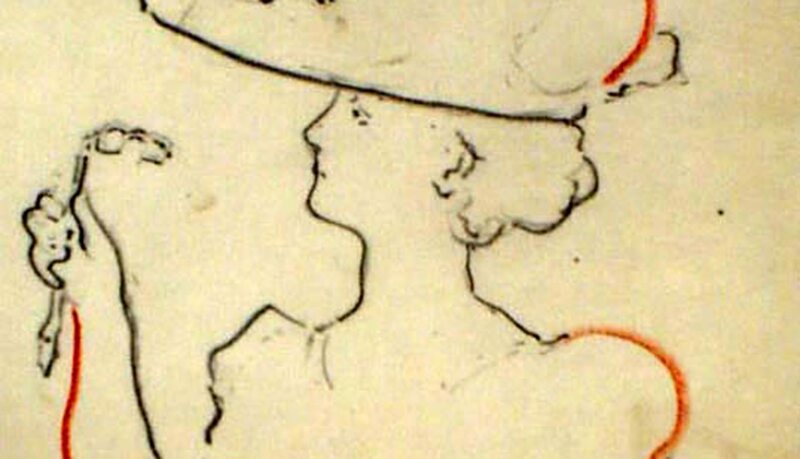 Many of his wiggle drawings he would make years later at the boardinghouse were caricatures of rich and cultured men and women. He later studied art at the Hartford Art Society with William Tryon before moving to New York to study at the Art Students League. Like many of his Old Lyme buddies, he then went off to Paris to study at the Académie Julien. With his official training complete, he established a studio in Hartford but soon moved back to New York and into the cooperative studio complex founded and developed by Henry Ward Ranger. 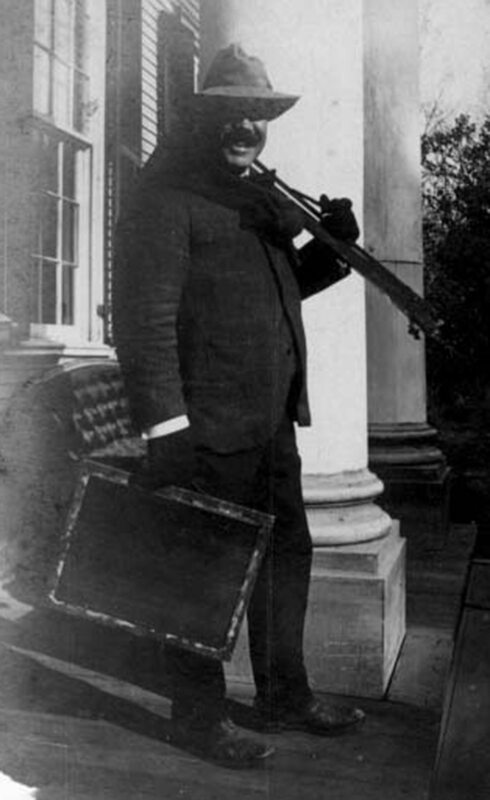 Talcott followed Ranger to Old Lyme during the second summer of the art colony and quickly became a prominent figure. His letters to Miss Florence during the early years of the colony are tinged with great affection and kindness. In response to his first season at the boardinghouse he wrote: “I went away in such a rush that I did not have time to properly say good-bye or to thank you for one of the most delightful summers that I have ever had.” He would return again and again for eight seasons, during which time he bought an estate in Old Lyme overlooking the Connecticut River, married a New York doctor’s daughter, Katherine Nash Agnew, and had a son whom they named Agnew. Bending lovingly close to the ‘Great River,’ are the homes and studios of Carleton Wiggins, Allen B. Talcott, and Clark G. Voorhees, within view of the pleasant white village of Essex on the opposite shore. 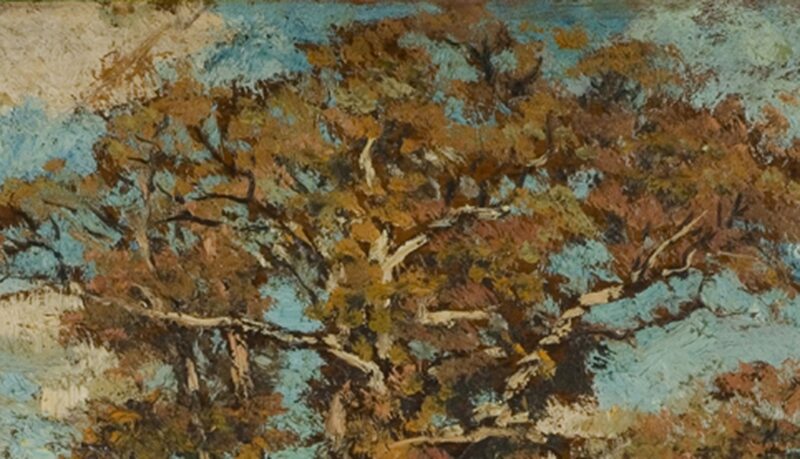 Talcott focused primarily on painting landscapes inspired by the local marshes, meadows, and forests. He combined all three motifs for his two panels on the door leading out of the dining room into the north rose garden. 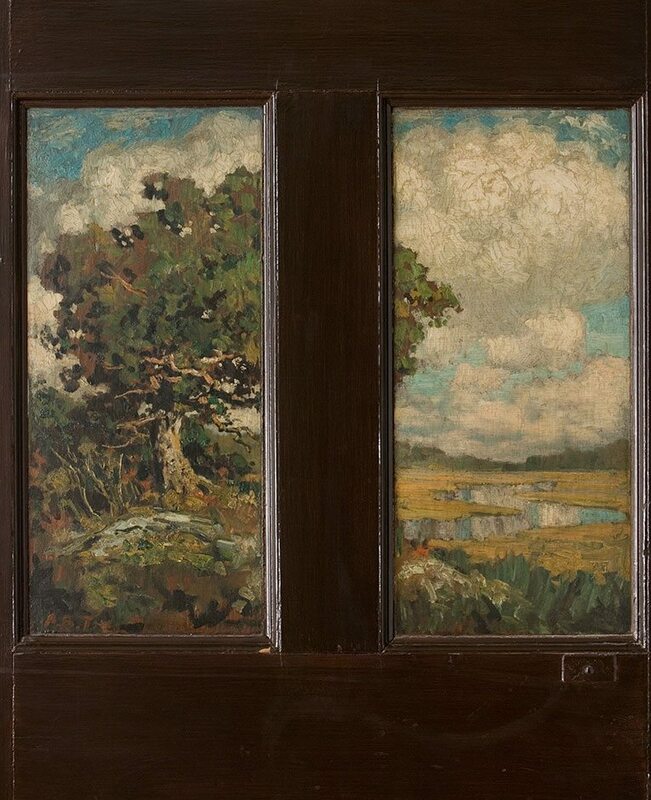 His trompe l’oeil window looks out on large oak tree growing on the edge of the watery marsh. 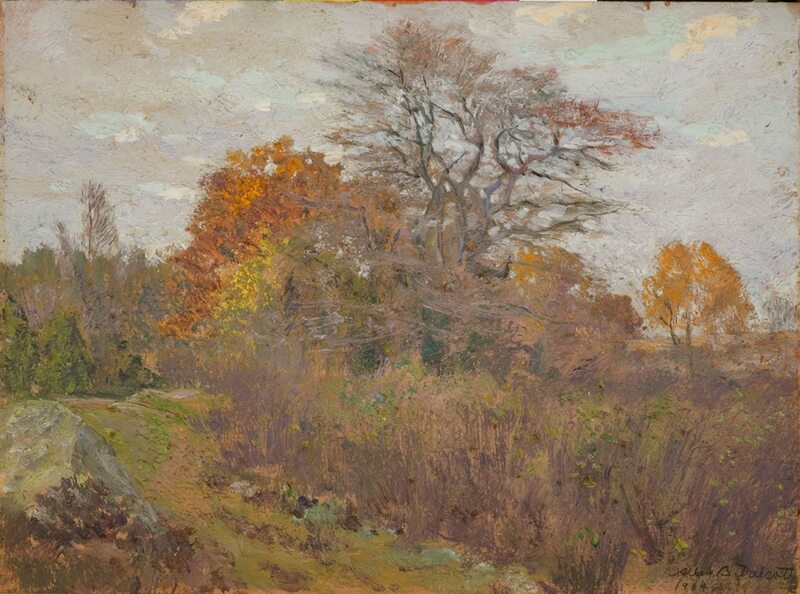 With work such as this, he soon became known as the painter of trees, celebrating their voluminous shape and rough textures with thick paint colored to capture the somber mood of autumn or splashed with dappled summer light. 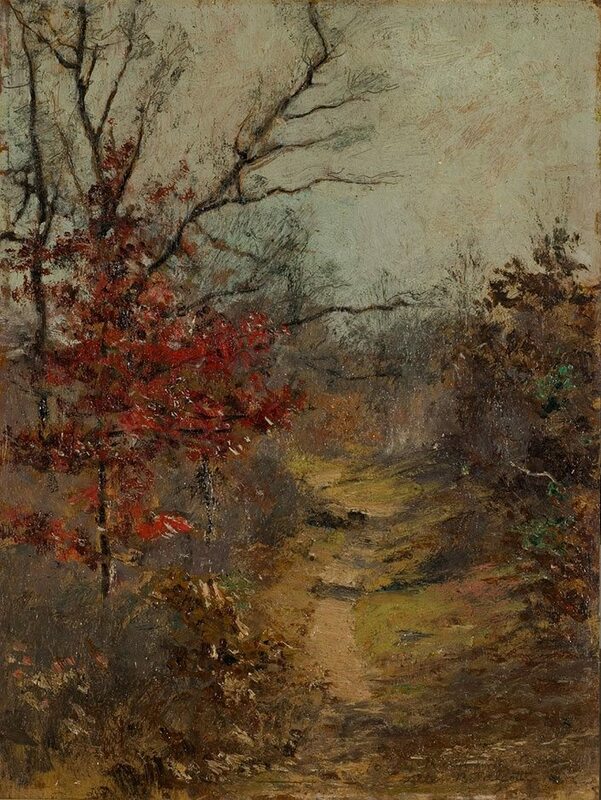 Being a friend and follower of Henry Ward Ranger, his early work was very much in keeping with the colors and characteristics of Tonalism – sentimental scenes painted with browns, greens, and golds – however, by the middle years of that first decade his palette began to lighten and his brushstrokes to flicker more like the Impressionists. A painting in the Museum’s collection by William Birney shows the center hall of the Griswold House festooned with greenery. 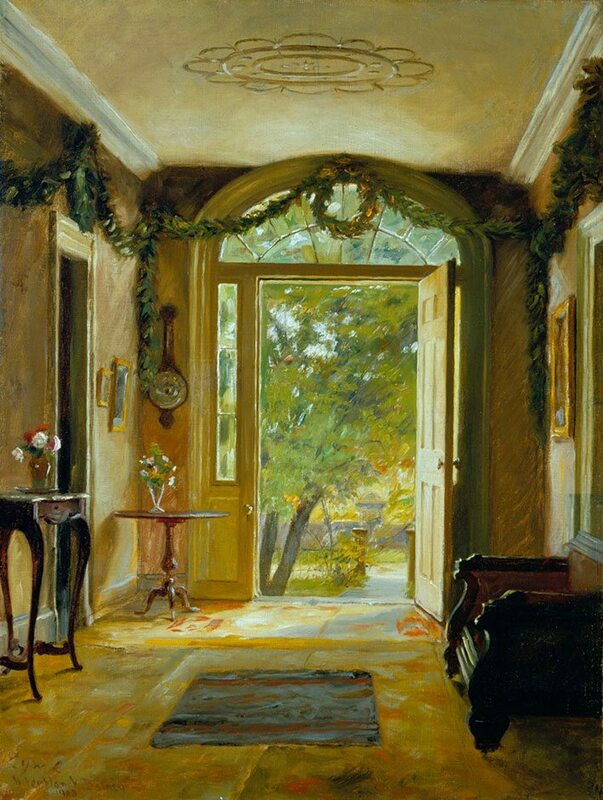 At first glance, it appears to depict a festive winter holiday interior until you note the summer landscape visible through the open front door. More likely the house was decorated in honor of Miss Florence’s dear friend and former boarder Allen B. Talcott, whose life ended abruptly on June 1, 1908, just as the artists were arriving for a summer of painting.